There are two main sections to this book: the Listening and the Speaking. The units and the activities have been numbered separately in each section. You find answers for some activities within the text of the book. Answers for other activities and the Practice Tests are in the Answer Key in Appendix 2. Transcripts for all listening tests and activities are in Appendix 1. Section 1 deals with the Listening Test. The first part of the book works through a practice Listening Test in detail, section by section. The structure of each section is discussed and the type of questions demonstrated. Strategies are suggested for dealing with the various question types as well as for the Listening Test in general. 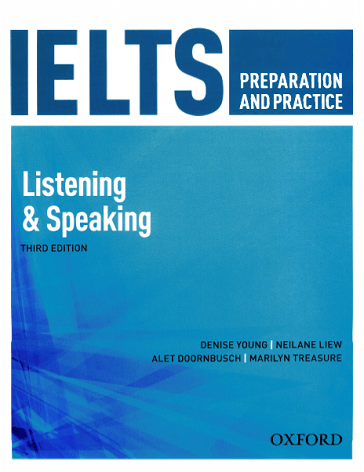 • a practice Listening Test—Listening Practice Test l.You could do this test first as a test, or you could work through it section by section as set out in Units 2 to 5 of the Listening section of the book. • a listening answer sheet, which may be photocopied. Section 2 deals with the Speaking Test. • self-assessment sheets, which may be photocopied.